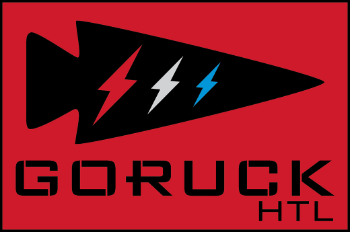 GORUCK Heavy, Tough, and Light are each difficult in their own rights. 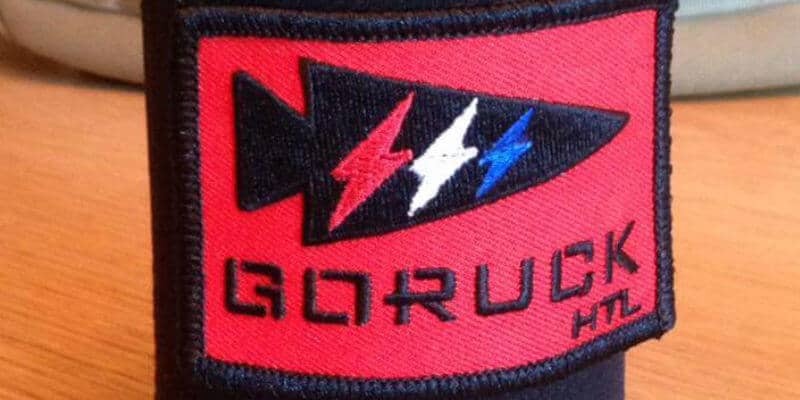 For those who desire to really push the envelope of pain and endurance, you can always do them back-to-back-to-back and complete a GORUCK HTL. But, the HTL is no joke. It is usually in the ballpark of 42 hours of work and can cover upwards of 60 miles. My first attempt at an HTL was a failure. My second HTL attempt was successful. Below are four tips to consider as you prepare to earn your own bolts. This seems obvious, but you’re not going to earn your HTL bolts without putting in the work beforehand. My training leading up to both my HTL events was focused and intense. 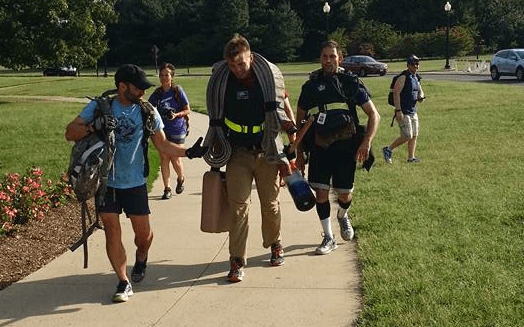 I more or less did what was outlined in the Ruck.Training Heavy Training Guide plus adding in CrossFit and extending the program a few more weeks. It took a lot of time and effort. Even then, there were times during the event that I didn’t feel like it was enough. If you want those bolts, it is gonna cost you on the front end. You gotta get to work. More stuff equals more weight. Weight is heavy. Click to learn what to pack for an HTL. 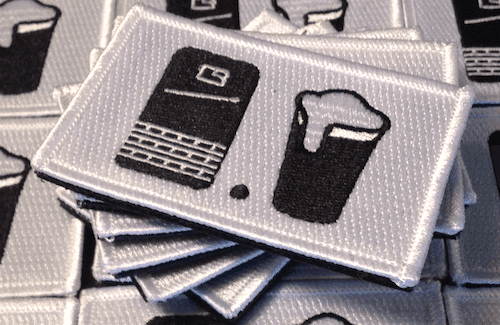 When packing, you should pack your ruck for the Heavy. 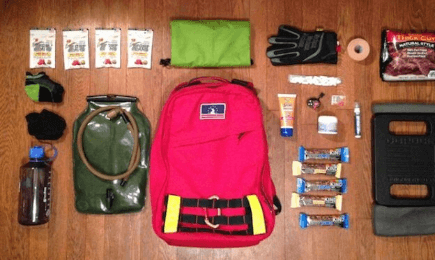 Then, create a ready bag that contains everything you need for your Tough and a second bag for your Light. Then, store these items in a car that you can get to during your transition between the events. Also, I like to have a change of clothes for each event. I pack everything I’ll want and then put them in their own bag (like a plastic grocery bag) that is labeled for the event. If you can, having a support team can go a LONG way in getting you to the Light Endex. I think the biggest factor in me completing vs failing my HTL was the presence of my family between events. They were there to support and encourage me, help me find what I was looking for in my bags, get me food, get me to the next start point, and make sure that I didn’t quit in the transitions. This was huge for me. If you can have people in your corner to help you between events, it will go a long way. Because, here’s the thing: the worst is coming for you. There will be all kinds of extra “love” for you and all those trying to complete the HTL. You’ll get extra PT, extra weight, and plenty of extra pain. Think about the worst thing you can imagine happening during an event. Now, make that the endex of the Light after 40 hours of abuse. This is what you’re signing up for. Here are some buddies at the end of the “Light” portion of their HTL. This will not be easy. These tips aren’t magic bullets. They will help, but if you want those bolts you’re gonna have to earn them. Have you completed an HTL? What tips would you offer to someone trying to complete one? Drop them in the comments below. Ryan, how would you recommend handling the transitions without support? I’m doing my first HTL next summer in a city I’ve never done events in and coming from overseas. Great question. Usually for HTL events people will create a private FB group for just HTL participants. If no one has done that for your event, take the lead by reaching out to HTL folks via the Heavy’s event page. Once you have a group of HTL people, let them know your situation and ask for help. Usually people that are more local will have a support team that you can toss a bag and supplies in their car.